Will Google Put Buzz Into Social Games? As you probably heard, Google Buzz’s release was less than smooth. If it has sufficient motivation, Google has the capability to make Buzz succeed over the long run, despite the inauspicious start. If they do make it popular as a service, will it also be a good platform for social gaming? Based on our experience with Facebook, Twitter and smart phones, I have some suggestions for Google on how to make Buzz a great social gaming platform. The general thrust of my suggestions is that Google Buzz should aim to be more like Facebook’s feeds and walls and less like Twitter. Although Twitter has been used in games, and should be a tool in every game developer’s toolbox, it is just not as central for a social game developer as Facebook is. In the sections below I’ll describe why this is. In any social network, the two features that interest us most are friend lists and feeds. The friend list allows us to make games that take advantage of real-world relationships. The feeds allow us to communicate with the user’s friends and followers. The main thing that social game developers need from friend lists is that it be game-relevant. What does that mean? The key is that the people on the friends list should really be friends and that they be the kind of contacts who would be interested in getting game-related news. There is at least one way that Google could determine that without mind-reading: they can watch a viewer’s history of interacting with (showing, hiding, commenting upon) game-related content. Google might also be able to infer from your history whether your interactions tend to be business-oriented (e.g. with office document attachments) or social (e.g. with image attachments). Google should follow Facebook’s lead here. Facebook allows you to have different “types” of friends and could theoretically use your groupings to direct your tweets. Google should similarly encourage you to group the people you follow into categories that it could use to infer message relevance. 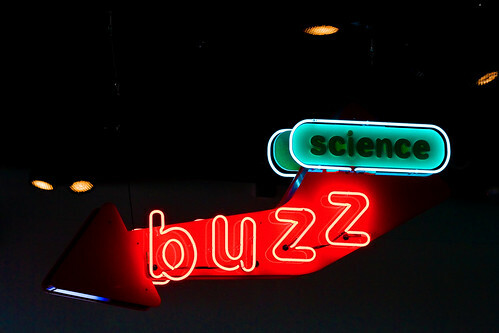 Google Buzz, like Twitter, is fundamentally organized around the idea of feeds. Feeds have also been important at Facebook for years, and they get more and more so with each revision of the user interface. * when a player accomplishes something boast-worthy, we encourage her to post it to her wall and Twitter feed. This informs other players of the game that something noteworthy has happened, deepens her reward (in the same way that standing on a podium accentuates an Olympic medal) and informs her friends about the existence of the game. * when a player needs help, we encourage her to inform her friends through the wall or Twitter feed. This helps them build a feeling of cooperation. One of the central design challenges in social gaming is how to use feeds without abusing them. Some curmudgeons think that any use is an abuse, and some games vendors are shameless in their spamminess. The most fundamental ground rule is that game players must always have complete control over what is posted. By default, Facebook allows the application to prompt the user to post any particular item. If the app is Facebook Connected, but not embedded in Facebook itself, then Facebook uses an HTML “iframe” to ensure that the user is talking directly to Facebook when giving permission to post the item. Twitter’s API seems much more primitive: one must either give an application complete access to Twitter or none at all. It cannot be done on a per-message basis. Control on the recipient’s side is also very important. Even the most cynical game publisher benefits when their messages are received only by those who will apreeciate it. This is because game players will free more free to publish content if they know that readers have an easy way to filter the feed. Facebook allows users to hide updates from a certain friend or from a certain app. Twitter does not keep track of which application a tweet comes from and therefore cannot filter them by application. This means that game players must be much more conservative about what they publish for all of their followers. In general, the Twitter model is simpler than Facebook’s. Twitter’s model is “you publish something” and “your followers read it”: like a blog. These primitive controls are especially acute in Twitter, which many “early adopters” use as a business marketing tool. No thought leader wants to encourage their audience to “unfollow” them. Facebook’s model is more like “you publish something” and then “Facebook uses an inscrutable and complex algorithm” to determine whether to show it to your friends. This gives Facebook the leeway to filter out game-related posts from the sites of disinterested users. Facebook wall posts can include graphics, flash, music and hundreds of characters of text. Twitter posts are always 140 characters of text. Obviously games benefit from Facebook’s more flexible model. For example, in Need for Speed Nitro for Facebook, we allow users to post pictures of their customized cars to their wall and photo album. Google is also following Facebook’s lead here. Buzz can attach media files just like Facebook. Even more interesting is Buzz’s capacity to attach location information. As we’ll discuss in future posts, there are many interesting ways to use location data in social games. Google Buzz has to solve its perceived privacy problems and the bad, ummm, buzz around its launch before it can be of value to anybody. But if Google can generally get its user base back on side then there are some simple techniques it can use to turn Buzz into a rich social gaming platform. Users must have control over their friend list and their posts: both incoming and outgoing. They must be able to post multimedia and text of a reasonable length. In general: Buzz must ensure that the right information gets to the right readers: if they do that, they’ll make up for the rocky launch.